1. 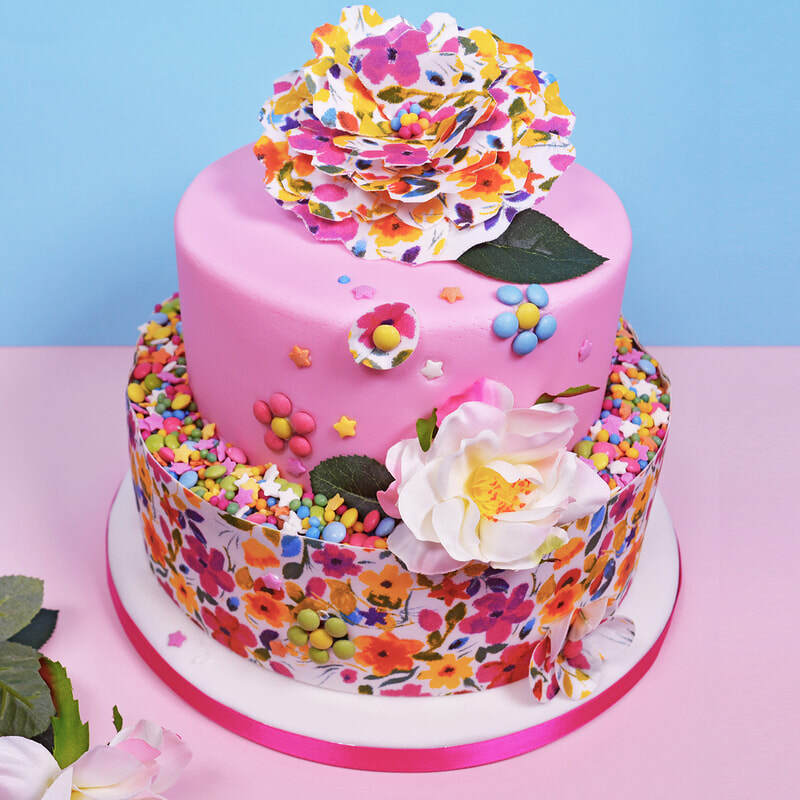 Before you start, ensure the cake is covered with royal icing or fondant. 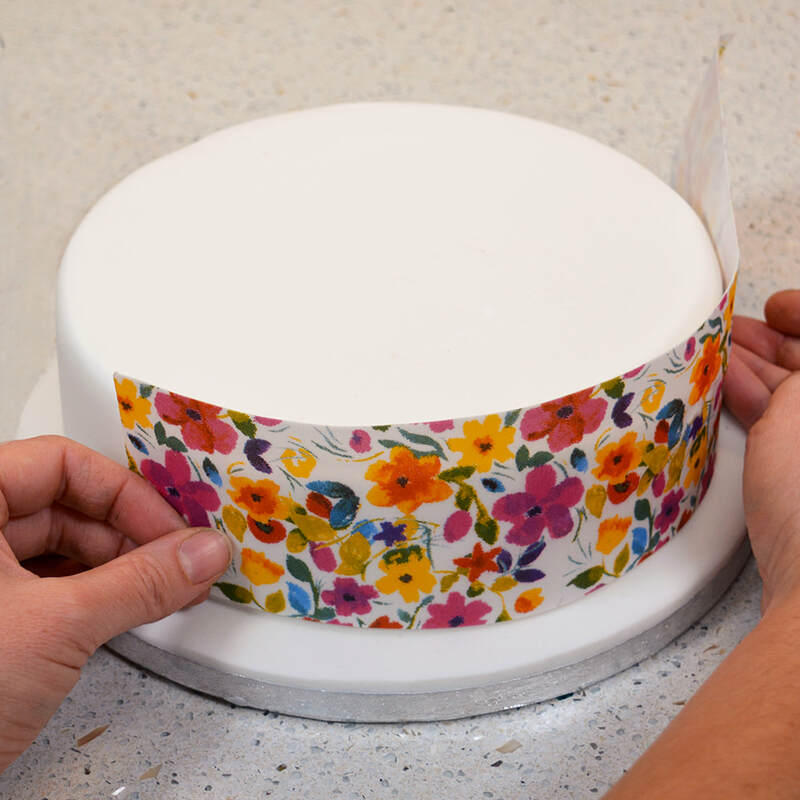 Cut the wafer paper in half along the longest length to create two strips. 2. 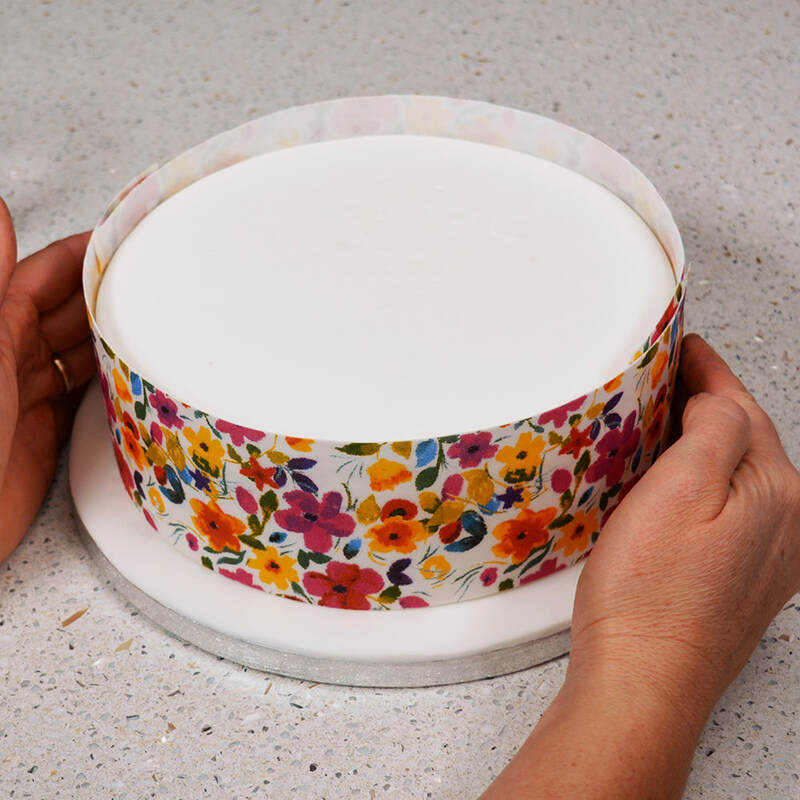 Affix the short edge of the first piece to your iced cake with just a dab of water. 3. Carefully wrap around and secure with another dab of water. 4. 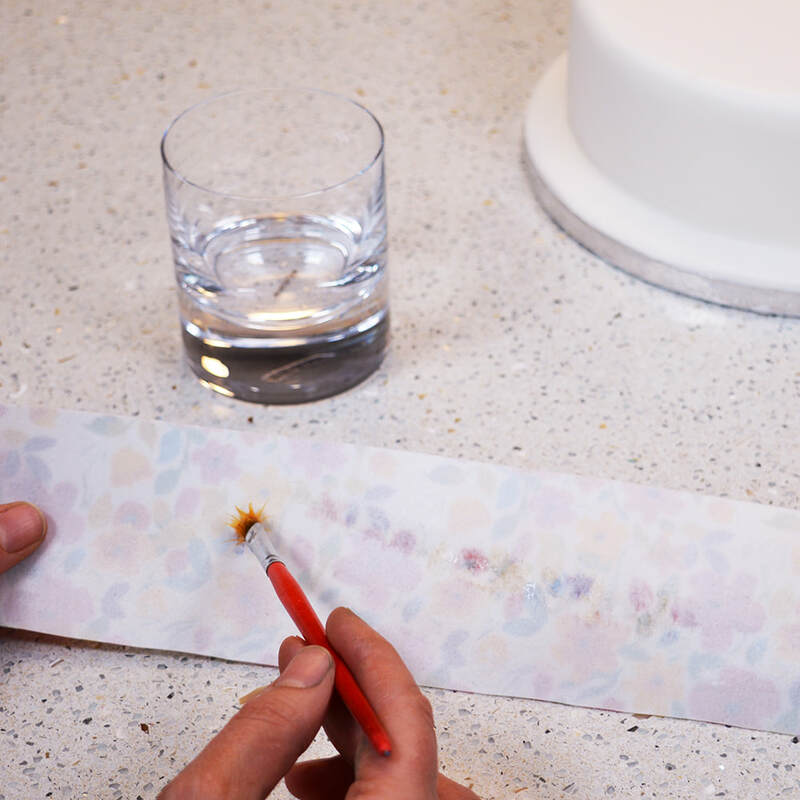 To complete the pattern, line the second piece up next to the first and fix with a dab of water. 5. ​Wrap around and match to the other end of the first piece. ​Trim to fit then secure with a dab of water. Yep, it’s that simple!